השם הסיני של האנג'ליקה הסינית (Dong quai) - "חזרה לסדר"– מציין את השפּעתה על המחזור החודשי הנשי. אנג'ליקה סינית הוא צמח רב שנתי; מוצאו בסין, קוריאה ויפן, הוא נחשב לצמח עדין ובטוח לשימוש לתקופות ארוכות. אנג'ליקה סינית מותרת לשיווק בישראל. פוליסכרידים, פנולים פשוטים, פיטוסטרולים, קומרינים, שמן נדיף. אנמיה, סרטן, אל וסת, בעיות פריון, תסמונת קדם וסתית, דימום וסתי מוגבר, כאבי מחזור, שחלות פוליציסטיות, דלקת כבד, כבד שומני, קרישיות יתר, הנקה - ייצור מועט של חלב, דלדול עצם (אוסטיאופרוזיס), נפחת, עצירות. תמצית נוזלית בריכוז 1:3, 45% אלכוהול – 6-12 מ”ל ביום. 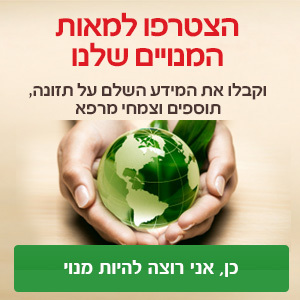 תמצית יבשה תקנית לפי ligustilide בריכוז 0.8%-1.0% או לפי ferulic acid בריכוז 0.01%-0.05% - מינון של 300-900 מ"ג ביום. מרתח – 3-15 גרם ביום. יש לנקוט זהירות במתן אנג'ליקה סינית לאנשים הרגישים לצמחים ממשפחת הסוככיים(6). אנג'ליקה סינית מתאימה לשימוש בהנקה(39). Hirata JD, Swiersz LM, Zell B, et al. Does dong quai have estrogenic effects in postmenopausal women? A double-blind, placebo-controlled trial. Fertil Steril 1997;68:981-6. https://www.ncbi.nlm.nih.gov/pubmed/9418683. Foster S, Tyler VE. Tyler's Honest Herbal: A Sensible Guide to the use of Herbs and related remedies. 3rd ed. New York: Haworth Herbal Press; 1993. http://stevenfoster.com/publications/index.html. Goh SY, Loh KC. Gynaecomastia and the herbal tonic "Dong Quai". Singapore Med J. 2001; 42(3):115-116. http://citeseerx.ist.psu.edu/viewdoc/download?doi=10.1.1.598.6173&rep=rep1&type=pdf. Deng S. PhD Dissertation. Phytochemical Investigation of Bioactive Constituents from Angelica sinensis. University of Illinois; Chicago: 2005. https://gfp.people.uic.edu/pdf/DengDiss2005.pdf. Li, J. Studies on the chemical constituents of Angelica sinensis. Zhongcaoyao 1983, 14, 377-378. Thorne 2004: Thorne Research Inc. Monograph Angelica sinensis (Dong quai). Alternative Medicine Review 2004;9(4):429-433. http://phytomedica.pl/pdf/angelica.pdf. Radix Angelicae Sinensis. WHO Monographs on Selected Medicinal Plants. 2 vol. Geneva: World Health Organization; 2004. http://apps.who.int/medicinedocs/en/d/Js4927e/5.html#Js4927e.5. Bensky D, Gamble A, Kaptchuk T. Chinese Herbal Medicine Materia Medica. Vista, CA: Eastland Press, 1993 https://www.eastlandpress.com/products/eastland-herb. Wagner H, Bauer R, Peign X, et al, eds: Chinese drug monographs and analysis: radix Angelica sinensis – danggui, Kotzting\Bayer, 2001, Verlag fur Ganzheitliche Medizin. Bone K, Mills S. Principles and Practice of Phytotherapy: Modern Herbal Medicine. London, UK: Churchill Livingstone; 2000:350-353. https://www.elsevier.com/books/principles-and-practice-of-phytotherapy/9780443069925. Huang KC. The Pharmacology of Chinese Herbs. 2nd ed. Boca Raton, FL: CRC Press; 1999. https://www.crcpress.com/The-Pharmacology-of-Chinese-Herbs/Huang/p/book/9780849316654. Li YH, Zhang YQ, Li L, et al. (2008). Effect of Danggui and Honghua on cytochrome P450 1A2, 2C11, 2E1 and 3A1 mRNA expression in liver of rats. Am J Chin Med 36:1071–1081. https://www.ncbi.nlm.nih.gov/pubmed/19051337. Stargrove M B, Treasure J, McKee D. L, Herb, Nutrient, and Drug Interactions, Elsevier, 2008. https://www.us.elsevierhealth.com/herb-nutrient-and-drug-interactions-9780323029643.html. Ko FN, Wu TS, Liou MJ, et al. Inhibition of platelet thromboxane formation and phosphoinositides breakdown by osthole from Angelica pubescens. Thromb. Haemost., 62(3):996-999, 1989. http://europepmc.org/abstract/MED/2556815. Yin Z-Z, Zhang L-Y, Xu L-N. Effect of dang-gui (Angelica sinensis) and its ingredient ferulic acid on rat platelet aggregation and release of 5-HT. [Chinese] Yao Hsueh Hsueh Pao, (6):321-326, 1980 (Chem. Abs. 94:266g) . https://www.ncbi.nlm.nih.gov/pubmed/7457152. Wang S, Guo Z, Liao J. Experimental study on effects of 18 kinds of Chinese herbal medicine for synthesis of TXA2 and PGI2. [Chinese; Engl. abs.] Chung Kuo Chung His I Chieh Ho Tsa Chih, 13(3):134,167-170, 1993. https://www.ncbi.nlm.nih.gov/pubmed/8339039. Terasawa K, Imadaya A, Tosa H, et al. 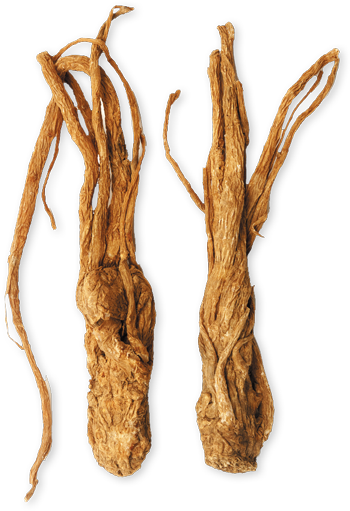 Chemical and clinical evaluation of crude drugs derived from Angelica acutilobae and A. sinensis. Fitoterapia, 56(4):201-8, 1985. Tu JJ. Effects of radix Angelicae sinensis on hemorrheology in patients with acute ischemic stroke. J Tradit Chin Med 1984;4:225-228. https://www.ncbi.nlm.nih.gov/pubmed/6570154. Page RL, 2nd, Lawrence JD. Potentiation of warfarin by dong quai. Pharmacotherapy 1999;19:870-876. https://www.ncbi.nlm.nih.gov/pubmed/10417036. Ellis GR, Stephens MR. Untitled (photograph and brief case report). In ‘Minerva’ Br Med J. 1999;319:650. Lo AC, Chan K, Yeung JH, Woo KS. Danggui (Angelica sinensis) affects the pharmacodynamics but not the pharmacokinetics of warfarin in rabbits. Eur J Drug Metab Pharmacokinet 1995;20:55-60. https://www.ncbi.nlm.nih.gov/pubmed/7588995. Liu PJ, Hsieh WT, Huang SH, Liao HF, Chiang BH. Hematopoietic effect of water-soluble polysaccharides from Angelica sinensis on mice with acute blood loss. Exp Hematol. 2010 Jun;38(6):437-45. https://www.ncbi.nlm.nih.gov/pubmed/20347925. Wu CT, Lai JN, Tsai YT. The prescription pattern of Chinese herbal products that contain dang-qui and risk of endometrial cancer among tamoxifen-treated female breast cancer survivors in Taiwan: a population-based study. PLoS One. 2014 Dec 8;9(12). https://www.ncbi.nlm.nih.gov/pubmed/25485843. Marco K. C. Hui, William K. K. Wu, Vivian Y. Shin, Wallace H. L. So, Chi Hin Cho. Polysaccharides from the root of Angelica sinensis protect bone marrow and gastrointestinal tissues against the cytotoxicity of cyclophosphamide in mice. Int J Med Sci 2006;3:1-6. http://www.medsci.org/v03p0001.htm. Sun Y, Tang J, Gu X, Li D. Water-soluble polysaccharides from Angelica sinensis (Oliv.) Diels: preparation, characterization and bioactivity. Int J Biol Macromol 2005;36:283-289. https://www.ncbi.nlm.nih.gov/pubmed/16129482. Xin Y-F, Zhou G-L, Shen M, et al. Angelica sinensis: A novel adjunct to prevent doxorubicin-induced chronic cardiotoxicity. Bas. Clin. Pharmacol. Toxicol., 101:421-426, 2007. https://onlinelibrary.wiley.com/doi/abs/10.1111/j.1742-7843.2007.00144.x. Bunel V, Antoine MH, Nortier J, Duez P, Stévigny C. Potential nephroprotective effects of the Chinese herb Angelica sinensis against cisplatin tubulotoxicity. Pharm Biol. 2015 Jul;53(7):985-94. Epub 2014 Dec 11. https://www.ncbi.nlm.nih.gov/pubmed/25495691. Miller LG. Herbal medicinals: selected clinical considerations focusing on known or potential drug-herb interactions. Arch Intern Med 1998;158:2200-2211. https://jamanetwork.com/journals/jamainternalmedicine/fullarticle/210330. Zhu DPQ. Dong quai. Am. J. Chin. Med., 15(3-4):117-125, 1987. https://www.ncbi.nlm.nih.gov/pubmed/3425569. Lau CBS, Ho TCY, Chan TWL, Kim SCF. Use of dong quai (Angelica sinensis) to treat peri- or postmenopausal symptoms in women with breast cancer: is it appropriate? Menopause 2005;12:734-740. https://www.ncbi.nlm.nih.gov/pubmed/16278617. Thastrup, O., Fjalland, B., and Lemmich, J. Coronary vasodilatory, spasmolytic and cAMP-phosphodiesterase inhibitory properties of dihydropyranocoumarins and dihydrofuranocoumarins. Acta Pharmacol Toxicol. (Copenh) 1983;52(4):246-253. https://www.ncbi.nlm.nih.gov/pubmed/17396802. Zuo, A. H., Wang, L., and Xiao, H. B. [Research progress studies on pharmacology and pharmacokinetics of ligustilide]. Zhongguo Zhong.Yao Za Zhi. 2012;37(22):3350-3353. https://www.ncbi.nlm.nih.gov/pubmed/23373200. Qi-bing M, Jing-yi T, and Bo C. Advances in the pharmacological studies of radix Angelica sinensis (Oliv) diels (Chinese danggui). Chinese Med J 1991;104:776-781. https://www.ncbi.nlm.nih.gov/pubmed/1935361. Hoult, J. R. and Paya, M. Pharmacological and biochemical actions of simple coumarins: natural products with therapeutic potential. Gen.Pharmacol 1996;27(4):713-722. https://www.ncbi.nlm.nih.gov/pubmed/8853310. Cho CH, Mei QB, Shang P, et al. Study of the gastrointestinal protective effects of polysaccharides from Angelica sinensis in rats. Planta Med., 66:348-351, 2000. https://www.ncbi.nlm.nih.gov/pubmed/10865452. Romm AJ: Botanical medicine for women's health. St. Louis, Mo. : Churchill Livingstone/Elsevier; 2010: xix, 694 p.